In this movement moment, it’s time for national funders to look South. Our Southern neighbors have a vibrant history of successful movements for racial and social justice, yet grassroots Southern leaders are often overlooked by philanthropy and lack funding to pursue their own agendas. The South is already home to a strong ecosystem of people-of-color (POC)-led philanthropic institutions that can help drive resources for racial and social justice. National grantmakers can learn from and partner with these institutions. This webinar will explore the crucial role of POC-led philanthropy in the South, with an emphasis on the powerful potential for significant impact not only in the Southern region, but nationally. Join NCRP, ABFE, Grantmakers for Souther Progress (GSP) and the Southeastern Council of Foundations (SECF) for a conversation with Takema Robinson, director of the Greater New Orleans Funders Network (moderator); Felecia Lucky, executive director of the Black Belt Community Foundation; Flozell Daniels, Jr., president and CEO of the Foundation for Louisiana; Karen Watson, executive director of the Positive Action Committee; and Fernando Cuevas, executive director of the Southern Partners Fund. Note: You must register to view the webinar video. Rigid gender norms have immense raced and classed impacts on youth of color. In fact, gender affects almost every problem funders address. Yet, while some funders are solidly grounded in racial and economic justice, few do innovative work or challenge their grantees to do so when it comes to gender. Studies clearly show that young Black men and women who internalized rigid ideals for masculinity and femininity have lower life outcomes in areas like health and education. On the flip side, those who don’t conform to gender norms – who are gay or trans –face their own adverse life impacts from rigid gender expectations. This session will help participants reconnect race, class, and gender. Participants will learn how gender norms have specific impacts on life outcomes among youth of color. Concrete examples will be provided on integrating a gender lens into “intersectional” giving. No prior knowledge necessary, but reports will be shared to provide context. Health reform initiatives, coupled with national discourse on the social and economic conditions of Black communities, offer new opportunities for partnership between hospitals and philanthropy. Forces that continue to negatively influence the health and wellbeing of residents from historically marginalized Black communities will be explored and contemporary manifestations of institutionalized racism–and its impact on population health–will be discussed in this webinar. Contemporary racial disparities are well documented through the disproportionate relationship between Black communities and the criminal justice system. Undeniably, over the last 3 years the issues of Black communities, social justice and policing have been headline news throughout the nation generating polarizing political debates. June 16th marks the 50th anniversary of the term “Black Power” prominently introduced by activist Stokely Carmichael addressing an organized audience in Greenwood, Mississippi after the shooting of civil rights leader James Meredith, who was wounded in a march to register Black people to vote following the passage of the Voting Rights Act of 1965. Black Power became more than a term. Black Power formalized an important intellectual, social and artistic framework that inspired a new generation and movement to address eroding civil rights protection. The framework inspired the later work of Dr. Martin Luther King, introduced the Black Arts Movement, promoted Black Studies programs across colleges and universities and encouraged dynamic grassroots activism national and throughout the globe. This timely conversation will examine how philanthropy addresses the historic and contemporary relationship towards advancing grassroots leadership and organizations that work towards advancing justice, equity and fulfillment for Black communities that introduce new ideas and strategies for social progress. Ideals associated with Black Power have re-emerged for a new generation within popular culture and discourse, as evident with the recent photograph of the all-female West Point graduates, films and the entertainer Beyonce. Similar towards today’s #BlackLivesMatter movement, philanthropy can constructively respond to new cultural and social narratives that relate towards effective grant making. This session will bring together leading thinkers to address the role foundations can play in advancing racial justice and equity. A discussion on how to incorporate civic engagement and political giving into your philanthropic strategy. In the upcoming year the significance of voting in the Black community will be at the forefront of most news cycles. However, most of our philanthropic efforts do not address many of the root issues – the underinvestment in Black political infrastructure. We will highlight the value of c4 resources and the best vehicles to leverage your c3 dollars to help build Black political infrastructure and strengthen the organizations that are leading this work. Our guests will include leaders from the civic engagement and political world. The panel will be moderated by Cietta Kiandoli, Director of the Black Civic Engagement Fund at the Democracy Alliance. We look forward to your participation in what promises to be a robust discussion about what we can build together. The ABFE Connecting Leaders Fellowship is a year-long experience designed to sharpen the skills and strengthen the leadership capacity of foundation staff, donors, and trustees who are committed to assisting Black communities through philanthropy. Fellows have the opportunity to learn from seasoned grantmakers and peers on a regular basis, understand how to be more effective agents for change within their institutions, and participate in a network that focuses on innovative solutions to community challenges. Fellows attend a week-long Leadership Summit and are assigned an executive coach. In addition, each fellow is required to complete a community-based learning project during the fellowship year. This can be volunteer work or a research project on a topic of interest. Please note that fellows will be based at their home institutions and in their communities during the fellowship year. In the past year, the “Black Lives Matter” Movement has successfully rekindled a public consciousness and action about anti-Black racism in law enforcement and other areas of Black life that we have not seen in 40 years. However, this moment has also revealed that in order for Black communities to matter and thrive, it is necessary to strengthen the institutional and political power of the Black community by revitalizing the infrastructure for Black social change. This is the broader opportunity sparked by this moment and one in which philanthropy can play a major role. The Hill-Snowdon Foundation and ABFE have come together to launch the Black Social Change Funders Network to stimulate and coordinate philanthropic action to revitalize Black social change infrastructure. Please listen in on the first meeting of the Black Social Change Funders Network where the vision, purpose and proposed functions of the Network were discussed and offer an opportunity for participants to ask questions and engage in the work going forward. Black LGBTQ communities have always been at the intersection of racial justice and LGBTQ activism, although their continued invisibility within these movements have marginalized their voices due to homophobia, transphobia, bi-phobia and racism. Although pioneers such as James Baldwin, Lorraine Hansberry, Audre Lorde and Bayard Rustin used activism to advance racial justice and LGBTQ issues, there is still more work to be done. LGBTQ Black communities experience a unique form of discrimination at home and within faith institutions, schools, workplaces, health facilities and communities. This session, co-sponsored by Funders for LGBTQ Issues and The Third Wave Fund, will examine how leaders and organizations connect racial and LGBTQ identity to secure social justice for LGBTQ people. There has been increasing interest among the members and allies, who are more explicitly taking a stance on racial inequity. We believe that philanthropy can play a major role in mitigating racial inequity in our society. In this webinar, led by Jara Dean-Coffey, with jdcPartnerships, we’ll explore how to push for greater understanding and implications (and limitations) of an equity frame. 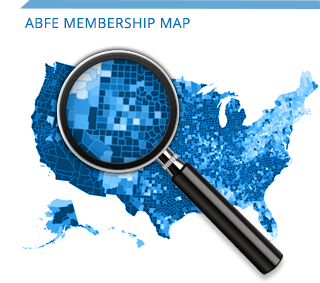 Diversity and Inclusion remain areas that are more comfortable to adopt, but ABFE sees them as steps on the path to equity–the ultimate goal. What’s needed to deepen and expand understanding about equity, both within philanthropy as well as externally (with partners, communities, etc.)? This webinar offers a frame for evaluation, aligned with the efforts of many foundations engaged in efforts to promote equity, equitable evaluation (EE). It offers a brief overview of evolution of evaluation and its relationship to philanthropy in order to contextualize the capacities and competencies needed to adopt an equitable evaluation approach. Participants will receive an overview of resources related to equitable evaluation as well as a set of reflection questions to support Equitable Evaluation Capacity Building (EECB) after the webinar. What some saw as a fleeting moment, has become a global movement–a revolution. Marches and uprisings have emerged across the world in response to the long-argued fact that Black people have been, disproportionately, victimized in a myriad of ways. Philanthropic & social justice leaders have convened in Napa, Detroit, Cleveland, Ferguson and New York, with a deep commitment to fighting against state-sanctioned violence, explicit injustice and implicit bias. Activists have, successfully, forced a conversation on race to the national political arena. The criminalization of “Laughing while Black”, on a Napa wine train, reminds us that being Black has a cost in a racially inequitable society–and no one is exempt. Join this call and get the latest updates on how philanthropy is moving forward as part of the movement for racial equity and Black liberation — and what’s needed — as we continue to proclaim that #BlackLivesMatter every day and everywhere. The movement to celebrate, organize, support, and defend Black communities from police and state violence and assert the right to survive and thrive has grown into a national and worldwide movement for systemic transformation and deep healing. A new chapter is being written in the long journey towards racial justice and Black liberation. Convenings, like Black Lives Matter Chapter Convening In Detroit (June) and the Movement for Black Lives Convening in Cleveland (July) are creating spaces for Black activists to realize that promise fully–on their own terms. On this call, you will hear from convening organizers and fellow grantmakers about opportunities to support this important groundswell of momentum to build for the long term. Undeniably, voting and civic participation have been vital elements towards establishing an inclusive and vibrant democracy to ensure all people have a voice in their nation. On August 6th our nation will commemorate the 50th anniversary of the signing of the Voting Rights Act (VRA), one of the crowning achievements of the Civil Rights Movement, yet two years ago a key section of VRA was overturned by the United States Supreme Court, therefore redefining voter protection. Respectfully, VRA is only one part of a larger system to encourage civic participation. Throughout the United States, issues of voter suppression, re-districting, and other issues continue to disproportionately impact and influence the lives of Black voters. Given the importance of civic engagement in a growing multi-racial nation, what does the future of funding and activism towards protecting Black voters look like? What constructive roles can advocates and funders play in addressing these new dynamics? This provocative conversation will explore challenges and opportunities towards expanding and supporting civic participation within Black communities. A discussion on our urgent responsibility to challenge our sector & strategies for how to start with your own institution and networks. This conversation reminds Black professionals in philanthropy that we have a right to show up as our “whole selves” as black people and as organizers. In order to support and strengthen social movements, it is critical for philanthropy to shift into a community that genuinely values all Black lives. As we learn from our sisters and brothers using their bodies on protest lines to challenge the state, we must move with urgency to change our own instructions, our foundation networks and colleagues to move towards becoming more responsive to the needs of Black leadership and Black communities. We hope to use this conversation to share opportunities for collective action, examples and strategies to begin your own organizing and inspire each other to be willing to take risks. Some background on how this group came to be and what it hopes to achieve: The police killings of Michael Brown and Eric Garner and the decision by respective Grand Juries not to bring forth criminal charges unleashed the anger and energy of Black communities across the United States. Black philanthropists were not immune to this moment and today, collectively and individually, we struggle to better understand our roles. #BlackLivesMatter is opening spaces for Black practitioners, allies, and partners in philanthropy to further expand their involvement in this current movement for Black lives. During this call, participants were able to chat with ABFE staff members about our signature Connecting Leaders Fellowship Program and the application process. Nonet Sykes, Senior Associate with the Annie E. Casey Foundation, will lead a webinar highlighting the organization’s internal and external Race Equity and Inclusion efforts, the Equitable Opportunities Framework and promising strategies for increasing equity and equitable opportunities both within a foundation and in the field. 3. Understand the implications of implementing Race Equity and Inclusion efforts within a foundation. Nearly 100 years ago, the film “Birth of Nation” was created to perpetuate inaccurate Black narratives and shape public opinion towards recently freed Blacks that were migrating throughout the United States into newly formed urban enclaves. Today, contemporary films like “SELMA” and documentaries like the recently released “Through a Lens Darkly” provide a powerful and lasting medium towards advancing ideas and values about race, inequality, history and social issues. The recent Oscar nominations struck a resounding discord with many. The Academy’s failure to nominate any Black actors or filmmakers suggests that Black Lives don’t seem to matter much in Hollywood. Undeniably, supporting films and documentary making provides funders a significant opportunity to reach and educate audiences while promoting diversity in the film making industry. Films create a lasting imprint upon the consciousness of its viewers and inspire conversations about challenging public interests issues. When done well, they tell the true stories about Black people. Join us for an engaging conversation with funders and film makers as they discuss the important role of films that inspire social change and new ideas. Millennials are the most ethnically diverse generation of all time. Pew Research Center reports 43% of millennials are non-white. However, mainstream reporting and illustration on millennial philanthropy neglects to reflect the ethnic diversity that exist among the generation. Research exists that proves millennials from communities of color do in fact give. So why aren’t we hearing about them more? Join us, along with Friends of Ebonie LLC., the leading voice in black millennial philanthropic engagement, to discuss the issue of millennial diversity in philanthropy and what the sector can begin to do to change the narrative. Ebone Johnson Cooper, Friends of Ebonie, LLC. There is a growing trend among institutional investors to take a more inclusive approach to managing capital. The recently-released report, “Who Manages the Money? How Foundations Should Help Democratize Capital,” centers on expanding the pool of investment managers to include best-in-class diverse firms. Such a shift advances both equity and fiduciary goals. Research shows that small independent investment firms often outperform larger counterparts in many asset and sub-asset classes. Foundations lag behind other institutional investors in diversifying their mix of investment managers. Despite the mission of many to address historic inequities, foundations typically focus diversity efforts on grant making, leadership or staffing. However, they are missing a significant opportunity. Using diverse managers would allow foundations to leverage new investment talent to enhance returns, as well as create a positive social impact that holistically aligns their business practices with their philanthropic missions. This webinar will explore the W.K. Kellogg Foundation’s work with diverse investment managers as an example of how to embed equity and inclusion in an investment portfolio. While still early, the portfolio valued at $111 million, has achieved positive performance since its 2010 inception. Join the conversation to learn more about the process, key lessons learned and looking ahead as even more foundations may apply principles of equity not only to the grants the issue, but also to their professional services. This webinar session explored the opportunities and challenges of implementing movement-based grant making strategies that ultimately achieve equity for Black communities. Specifically, what is the role of foundations to support and nurture movement building that engages in policy reform, community organizing, and public awareness? Undeniably, the new digital age has redefined America and shifted the landscape for social justice advocacy for black communities. More and more individuals receive their information through social media and advocates have devel-oped new strategies to communicate their work through multi-media platforms and online organizing strate-gies. Over the last decade, new civil rights issues have emerged for advocates including: access to broadband sup-port; diversity in the technology sector; education and coding; and federal media policy reform. This webinar explores the growing role philanthropy and advocates can play to secure media justice and how technology has shaped a new frontier for organizing and advocacy in the black community. Undeniably, education remains one of the most critical issues for most foundations and families in America. Social research highlights the importance of education in transforming individuals, communities and making our country stronger and more competitive in a shifting 21st Century global economy. Perhaps no other issue is more important towards advancing racial progress in America than education. This month marks the 60th anniversary of the United States Supreme Court’s groundbreaking decision of Brown v. Board of Education which found “separate but equal” unconstitutional and racially integrated the American classroom. Yet the civil rights journey for educational access has left many Black communities behind while widening the gap of inequities across all lines of race, class and gender. Although the legacy of Brown worked to secure racial integration within public schools, new contemporary challenges have emerged such as school disciplinary policies, shifting educational options for American students and unstable resources for high quality education. What are the educational options for Black children and families? How will the philanthropic community address these dynamics? What strategies are working and what are we still missing? How are people as individuals seeking to achieve their vision of equity in education? Please join ABFE for a multi-media webinar and provocative conversation as we explore the legacy of Brown and the current trends, philanthropic solutions and challenges that must be addressed to support the next generation of education advocacy.